Janome 2212 is a good sewing machine if you keep the price out of the equation. It is a mechanical sewing machine. 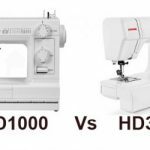 Janome has been in the sewing industry for over 150 years now. Janome is popular for making durable sewing machines. Janome 2212 comes with 25 year limited warranty, which is pretty much the standard nowadays. It also comes with a soft cover.This is a basic mechanical sewing machine. It is a machine for beginners. 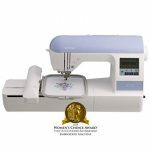 Janome 2212 is an easy to use, simple sewing machine with dials to select the stitches. There are two dials on this sewing machine. You can select the stitch length using one dial and the stitch type using the other. There is a lever for reverse stitching. It comes with 12 built-in stitches. Janome could have included at least 20 built-in stitches, never mind. The machine sews smooth and the operation is pretty quite as well. Threading the machine is very easy, thanks to the push-pull bobbin winder. It comes with vertical bobbin which enables you to change them without moving your project. One good thing about this sewing machine is that you can adjust the width and density of the stitch. You can have a wide stitch to some part and narrow it down as you go along, with the help of the dial. Changing the presser foot on this machine is as easy as you could get on any sewing machine available in U.S. You can use a lever on the back of the machine to detach the presser foot. It can stitch at a speed of 860 stitches per minute. There is also a built-in thread cutter on the machine. Weighing at just 15.6 pounds, it is easy to carry around as well. 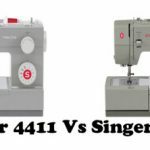 But I will consider it slightly heavier when compared to other sewing machines in the same category.Janome 2212 is not picky about the thread, you can use any thread you like. It has free arm sewing capability as well. As you can expect, this is not an advanced machine. It just works for what it is designed for, which is basic sewing. 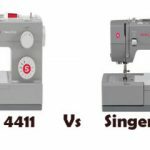 It doesn’t have automatic needle threader or needle up down.It is priced high as well, I mean, you can get fully computerized sewing machines from Brother or Singer for the same price. It all comes down to personal preferences though. If you like a mechanical sewing machine, consider this one. 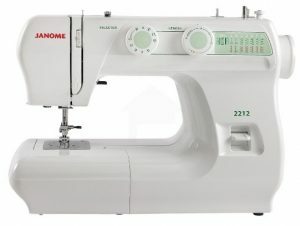 Overall, Janome 2212 is a sewing machine for basic stuffs. 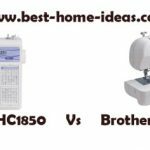 If you are looking for a simple and durable sewing machine, you can consider buying this one. Don’t even consider this sewing machine, if you are an advanced sewer. This one is for beginners only. Warning : Always make sure that the retailer you buy from is an authorized Janome dealer, otherwise you won’t be able to claim warranty.